All requests for use of Van Cortlandt House and grounds for Commercial photography (still and motion) must be directed to the Director of Van Cortlandt House Museum. Location Scouts are welcome to visit the house at any time during our regular visitation hours, please inform the staff in our Welcome Center and leave a business card or contact information with the attendant. 1. The preservation of the museum, the collections and the gardens/grounds are our first priority. Risks are not acceptable. The procedures and conditions stated by the museum personnel must be respected. If the museum personnel observe that a photographer/crew member/actor is seriously risking the condition of an object or historic structures or landscape features, ALL PRODUCTION MAY BE HALTED UNTIL FURTHER NOTICE IS GIVEN. NO OBJECTS MAY BE MOVED OR TOUCHED WITHOUT THE PRESENCE AND APPROVAL OF THE DIRECTOR OR AN APPOINTED MUSEUM REPRESENTATIVE. As much as possible all requests for removal of collections objects must be made no less than 24 hours prior to the schedule start of shooting. 2. 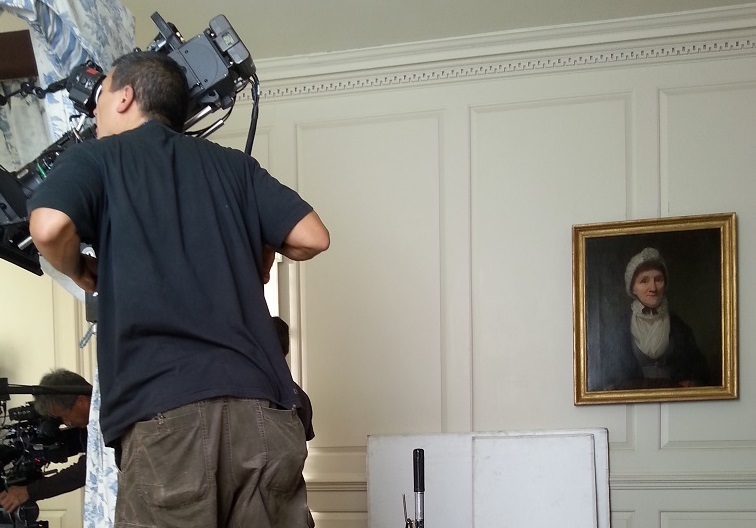 The Production Company is responsible for paying security guards hired by Van Cortlandt House Museum for each production day. The number of guards to be hired will be specified later in this agreement. The rate of pay for security guards is $35.00 per hour. 3. Insurance: You must provide Comprehensive General Liability Insurance and submit a Certificate of Insurance prior to the first day of the shot or you will not be permitted to begin work. Insurance must be provided as follows: Commercial General Liability, Products, Personal Injury, each occurrence all at the $1,000,000.00 level. The National Society of Colonial Dames in the State of New York 215 East 71st Street New York, NY 10021, and the City of New York Department of Parks & Recreation The Arsenal 830 Fifth Avenue New York, NY 20021, MUST be named as additional insured parties. 4. The National Society of Colonial Dames in the State of New York/Van Cortlandt House Museum and the City of New York assume no liability for any and all production company equipment or materials for the duration of the rental period including over-night hours, storage periods, and/or pauses in production unless otherwise specified later in this agreement. 5. No food is permitted in the Museum areas of the building. SMOKING IS NOT PERMITTED ANYWHERE INSIDE VAN CORTLANDT HOUSE MUSEUM, ITS GROUNDS OR VAN CORTLANDT PARK. Catering or food service may be set up outside the Museum House in a location agreed upon in advance by the Director of Van Cortlandt House Museum. The production company is responsible for proper disposal (double bagged and placed in a designated area) of garbage throughout their work day and/or at the end of the day. 6. Upon request, crew members may use the public bathrooms on the basement level of the Caretaker’s Cottage during the rental period. The production company is expected to leave these bathrooms in orderly condition and as they were found. Clean-up charges will be incurred if the rooms are not left in the condition in which they were found. 7. 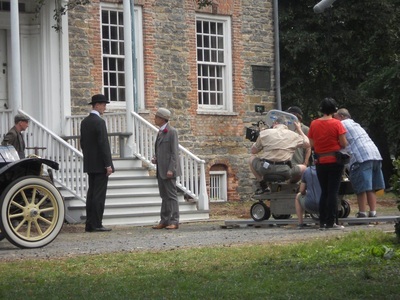 The production company/crew will not have use of Van Cortlandt House Museum’s phone lines, fax line/machine, photocopies, computers, or printers. 8. All rooms not designated, in advance, for filming are out of bounds for the location crew personnel. Security guards working for Van Cortlandt House Museum will be posted in the Museum House and on the Museum Grounds to secure these areas. 9. Floors in the Museum portion of the house must be protected from heavy equipment with moving blankets, building paper, or other approved materials. 10. Parking: Onsite parking is limited to production vehicles only. 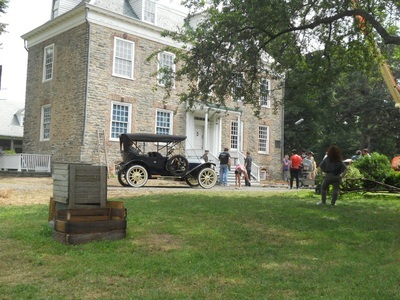 The Director of Van Cortlandt House Museum will have their car parked on the property during the duration of the shoot. All three gates in the perimeter fence surrounding Van Cortlandt House MUST be kept clear for emergency access. Permission for parking for production vehicles adjacent to the Museum outside the Museum Grounds must arranged in advance through the Van Cortlandt Park Administrator’s office at 718-430-1890. Plentiful off-street parking is available a short walk through the park from Van Cortlandt House Museum at the Van Cortlandt Golf Course. All parking rules and regulations will be strictly enforced. 11. Independent electrical supply is required. 12. The use of hazing or fog producing devices of any kind are prohibited from use inside Van Cortlandt House or within 10 feet of the doors and windows. The fog emitted by these devices, regardless of the liquid used to create the effect, will set off our smoke detectors and call the fire department to the house unnecessarily. 13. The use of tapes, glues, nails, staples and other types of methods of attachment is strictly prohibited anywhere on the historic fabric of Van Cortlandt House. This includes but is not limited to both the exterior and interior of the 1748 portion of the house. 13. Use of gardens and grounds requires sensitivity to plant materials, lawns, etc. Please avoid setting heavy equipment in these areas and keep traffic patterns to the stone driveway as much as possible. Should the production require the use of heavy equipment on the grounds, plywood is required to reduce damage as much as possible. Any damage to grass, shrubbery, gardens and other planted areas must be restored by the production company at the end of shooting. 14. The Director of Van Cortlandt House Museum will review the condition of the site with the production company’s representative prior to shooting. 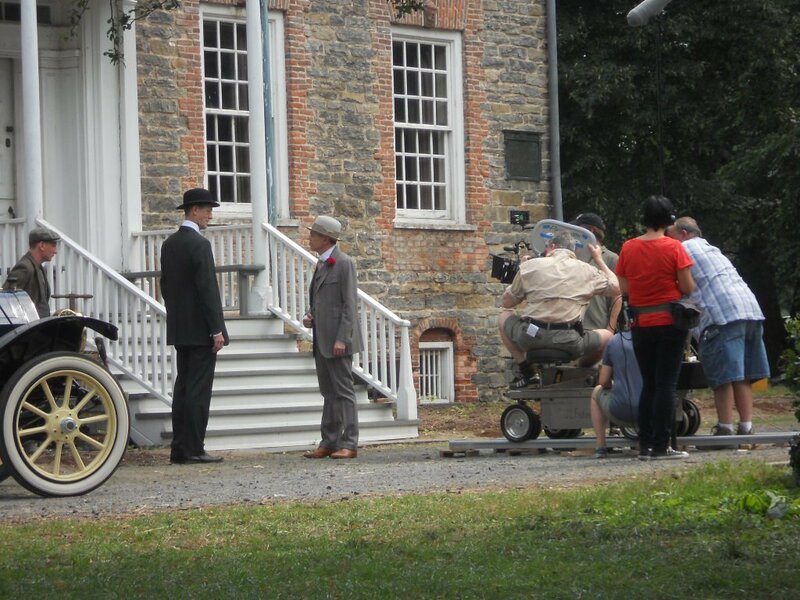 The production company will be responsible for any clean up, damage, or loss of museum property both inside Van Cortlandt House and on the grounds of the Museum (within the wrought iron fence). 15. Full payment, including a $5,000.00 refundable damage deposit returnable at the end of the rental period, is due upon arrival to begin site preparation and/or shooting. A penalty of one-third the total negotiated rental fee must be paid to The National Society of Colonial Dames in the State of New York should the production company cancel their site use less than 72 hours prior to the start of designated rental period. An additional refundable deposit may be required to protect Van Cortlandt House Museum in the event of damage to the museum grounds.